Uglyworld #1296 - Shootering Some Hoopies (Project BIG - Image 285-365), a photo by www.bazpics.com on Flickr. Evens though the weathersman saids that it would be rainering today, for somes reason unknowneds to me it stayereds dries, nots just for a few minuters, buts for mosts of the day! 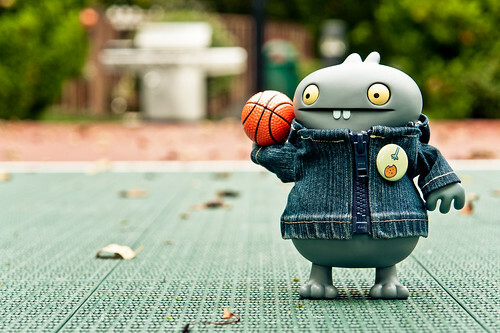 I couldn't lets the oppermachancity passers me by, so I grabbereds my basketerball and hits the court. Not onlies is it gooders fun to be outsider shootering some hoopies, but it's also a supers way to gets some excermacise too.